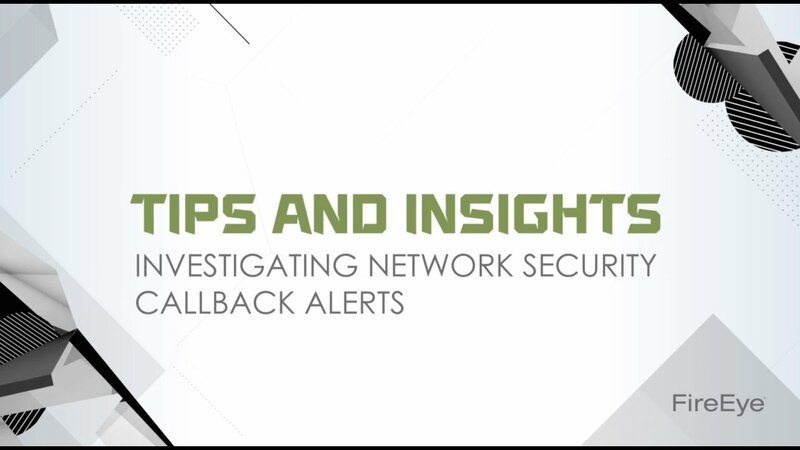 In this installment of the Tips and Insights series, Jason Forcht describes how to investigate callback alerts in the FireEye Network Security system. FireEye Network Security (NX) is an effective cyber threat protection solution that helps organizations minimize the risk of costly breaches by accurately detecting and immediately stopping advanced, targeted and other evasive attacks hiding in. Internet traffic. It facilitates efficient resolution of detected security incidents in minutes with concrete evidence, actionable intelligence and response workflow integration.